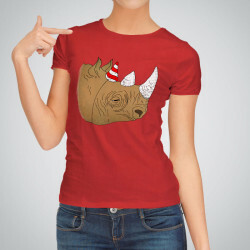 Unique Artollo design also for your little fashionistas! 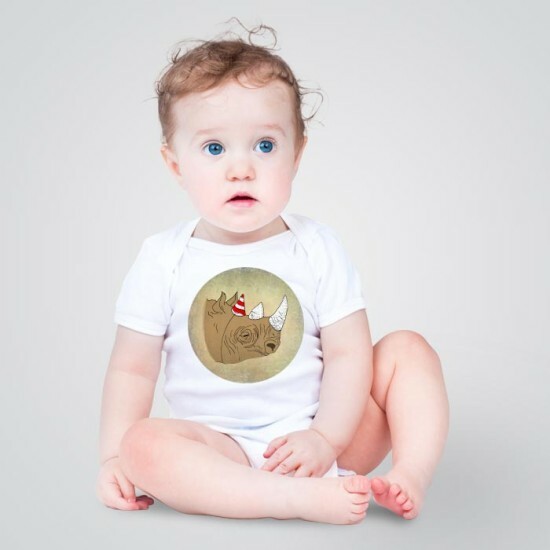 This 100% combed Ringspun cotton Rhino Party onesie is available for babies from 3 to 18 months. Open neckline, 3-snap closure at bottom, cap sleeves, bottom popper fastening. 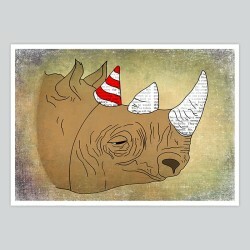 Bright durable colors and highest quality printing technology. Fabric trim at leg opening and neck for comfort, double stitched for durability. For custom orders, please contact us: order@artollo.com. For bulk sales, check our Bulk page.